You have to visit Copenhagen in winter. The snow covered streets, frozen canals and homey feel of all the stores make it a dreamy destination. 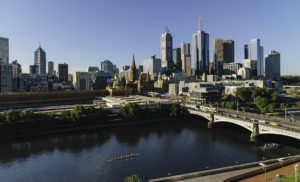 Here's our full guide to the city. 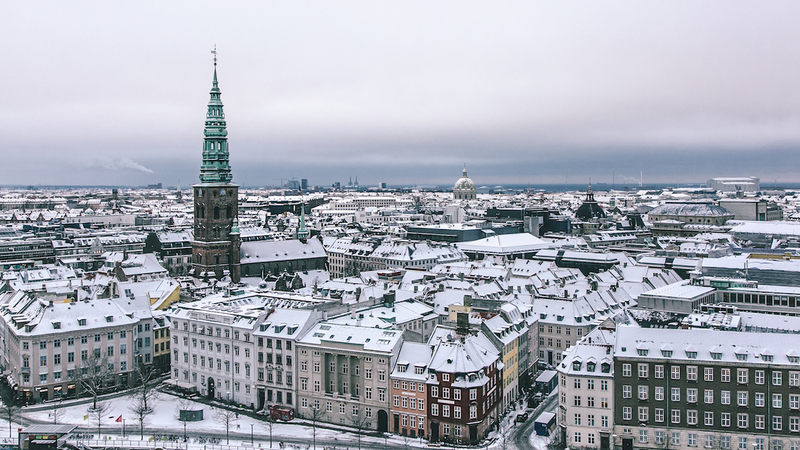 There is no better place or time to experience hygge than in Copenhagen during winter. The entire city embraces cosy comforts, done so to help the locals get through the dark and cold months. Streets are lit up with countless fairy lights. Cafés are full of people cuddling up to one another with hot chocolates and cake. And saunas along the canals seem to be perpetually hot and steamy. It’s pretty damn glorious. But you’ve got to get out into the elements, too. The winter sun is at a low level throughout much of the day, meaning that ‘golden hour’, the time when everyone looks extra beautiful in photographs, lasts much longer. And with this as the backdrop, vacationers can go ice skating in the parks, explore food markets, or go for a winter bath in some of the harbour’s freezing waters – for those equally brave and foolish souls out there. But a trip to Copenhagen isn’t complete without a visit to Tivoli Gardens. It is more than just an amusement park – although it does have some superb roller coasters and kids’ games. The entire concourse is lit up each winter by thousands upon thousands of fairy lights and luminescent installations. 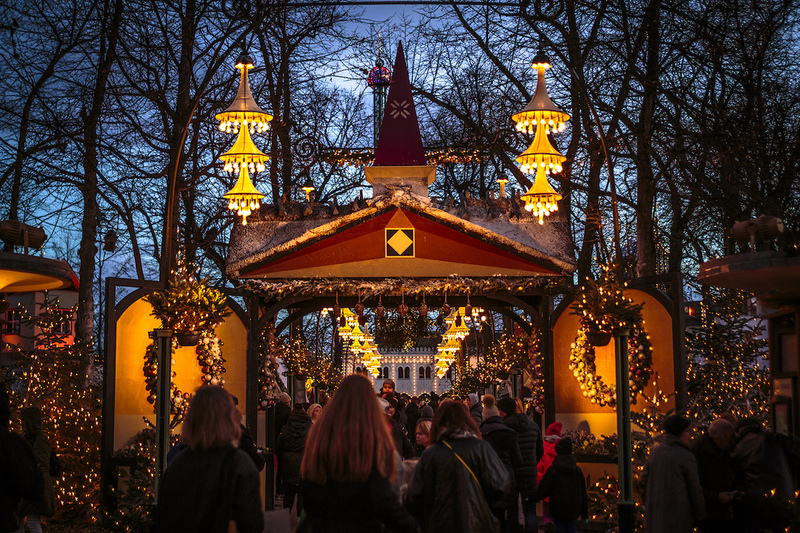 Guests can run from ride to ride for maximum excitement, but the pleasure garden is made for strolling around at night with a cup of hot mulled cider in hand, taking in the lively wintertime atmosphere. It’s mightily cold, but somehow cosy too – that’s hygge for you. Another favourite among tourists is the iconic 17th-century Nyhavn waterfront lined with old ships and colourful buildings. Throughout winter, this part of the city is far quieter and dreamier than it is during the busy peak season. Grab some smørrebrød – traditional Danish open-faced sandwiches – in one of the little cafés (try the pickled herring just for the sake of it) and take in the picturesque surroundings. From here, you can walk along the canals to see the famous Little Mermaid statue perched on the waterfront, as well as the imposing Amalienborg Palace. Conversely, stroll into town to explore the pedestrian-only street of Kronprinsensgade (yes, have fun trying to pronounce that one) where each store front is lit up in the spirit of hygge. Nearby, you’ll also stumble upon the Torvehallarne fresh food market, full of all sorts of locally made treats. Copenhagen is full of uplifting outdoor activities to try while visiting. 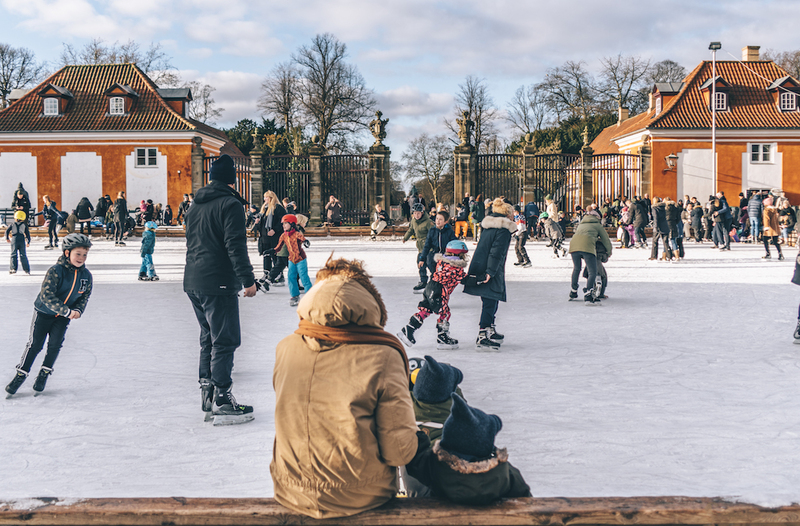 The favourite among locals would have to be the huge ice-skating rink at the Frederiksberg Gardens. Entrance to the ice is free (you’d never have that in London) but you will need to pay 50 kroner to hire some skates. And, set to open early this year, is an enormous artificial ski slope set on a former power plant called Copenhill. It turns out you don’t need to be in the Alps for winter sports. But if you’re wanting to relax in Copenhagen then there is no better way to do so than by jumping in and out of an old wooden sauna for the day. Both La Banchina and CopenHot are the perfect spots for such a traditional Scandinavian pastime. They are located right on the canal, offering up spectacular views to anyone who rocks up with a swim costume. This is so unique to the Scandies. The early months of the year are also when Copenhagen puts on some brilliant festivals. Firstly, the Frost Festival is a series of concerts that take place all around the city throughout February. In the past, performances have been held in churches, empty swimming pools, historical buildings and museums. This February also sees the return of Copenhagen’s Light Festival (as if the city needs any more lights) where public squares, canals, historical buildings and even the clouds in the night sky are illuminated by light installations created by local artists. 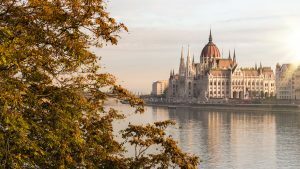 The entire city may seem a whole lot quieter during the colder months of the year, but it certainly shines a whole lot brighter.